It was the beginning of spring in Thessaloniki, but it felt more like autumn as sporadic gusts of wind picked up small scraps of paper in the early morning light swirling up in eddies, falling back down to the pavement like a ballet then suddenly jerking up a few meters away caught by another gust scraping them against the stone walls and peeling paint in the small streets and alleyways. Most people were asleep, but Stavros was a seaman, a fisherman, a man of the sea and getting up early with the sea was in his blood. The lapels of his short black coat were raised as the steam rose from his mouth as he briskly walked along the cobblestone street a short walk away from the nearby merchant and fishing docks of Thessaloniki port. He was heading to the Ladadika, an area filled with old neoclassical buildings that once housed the oil and spice trade of the city in the nineteenth century, but was now a trendy block of cafes, delicatessens and bookshops. He walked up the street to head for the quaint neighbourhood that he loved so which ringed around a small fountain. He looked up and he could hear the sound of opera music floating out from the balcony of Professor Caruso, an eccentric Italian professor of philosophy. The voice of Pavarotti singing Puccini's Nessun Dorma: ' Nessun Dorman! Tu pude o princepessa....’ He turned left around the corner and the morning light suddenly sprayed his face and the street with a soft diffusing orange misty light, falling on the glistening cobblestones and the red and pink geraniums glowing amongst the leathery green leaves from their earthen ceramic pots. He passed a boy playing with a yoyo outside of the steps of the apartment he lived in and the voice of his mother rang out from the balcony upstairs commanding him to come up for breakfast. On the other side of the street long white bedsheets billowed in the breeze like sails flowing over the curved metal grills from the balcony railing of Mrs. Angela. Mrs. Angela now revealed herself from behind the sheets and leant forward slightly, grabbed the railing of the balcony arching her swanlike neck backwards with eyes closed to receive her morning dose of sunlight. She was a striking woman, a cross between Sophia Loren and Audrey Hepburn, with a certain understated natural elegance and nobility, in her early 40's from what he remembered and originally from Patra. 'Yes indeed Mrs. Angela, up with the sun, as it would seem you are. I'm going fishing tomorrow, would you like me to bring you something?' he asked. 'Thank you Stavros, but I have my cooking plans all sorted this week. Maybe an octopus next week if you can spare it?' She replied. 'That would be my pleasure Mrs. Angela.' Stavros replied smiling, waving back to her and continuing his walk on to the square. He walked past the baker shop and momentarily stopped and closed his eyelids to inhale the aroma of the fresh crusty morning bread being baked. How he loved that smell, the baker's aroma settling over the neighbourhood, it was a memory that he carried with him as a boy and clung to at moments like this, it revived something deep in him. He opened his eyes and caught his own reflection in the shopfront window; short spiked light ginger coloured hair, and a short-cropped light ginger beard on his square jaw, bronzed coloured skin. His friends often told him that he looks like Vincent Van Gogh, or Kirk Douglas. He was 31 years of age and had lived a full life thus far; several years in the merchant navy, and now a fisherman in his own business. It was a tough and physical life but one that had fleshed out around him a stockier and more muscular frame than he had in his youthful lithe and athletic years; it suited him though, he was just shy of six feet tall. He was a passionate basket baller when he was younger and would have liked to have been taller, but was happy with how he was; though his lack of real height had scuppered his childhood dreams of ever becoming a professional basketball player for Olympiakos, his favourite team in the Greek league. He walked to end of the street, turned left again and stumbled into freedom square, with a small marble fountain in the middle splashing water over small figures of griffins, gargoyles and mythical heroes decorating the edge of the fountain. The luminescent leaves of the chestnut tree casting dappling shadows on the cobblestones and as he got to the front door , he was seized with a maddening pressure; the Cafe front melting like cheese in a Dali painting, the antique nineteenth century metal street lamps seemingly swaying, the whirring figures of people coursing around the square at light speed. He steadied himself and closed his eyes to gain some composure, he didn't know what these attacks were but when they came he could feel all the dimensions of existence at once pressing down upon him; its pains, sorrows, joys, creations and contradictions. He gained his normality continued twenty metres and found his destination, the Iguana Cafe. 'Good morning Stavros', said Kostas polishing the marble top of the bar. Stavros smiled at Joubert and couldn't help thinking how much he looked like Trotsky, a young Trotsky; Triangular head, goatee, small glasses perched on the end of his nose with a bookish quality about him, though some had said he's more like Kerouac, a beatnik writer stuck in the twenty first century. He had a stack of records under his left arm safely resting against his leather waistcoat with the turquoise coloured turtleneck poking up from behind the black. He was once a backpacker student that stopped off at Thessaloniki on one of his holiday pit stops a few years ago. A Belgian student travelling the world who fell in love with this city and stayed. Kostas gave him room and board in his apartment above the cafe and became a virtually a member of his family. At the Iguana he was a waiter, DJ, cook, cleaner, whatever Kostas wanted him to do. 'Good morning my boy, good morning my boy...yes, yes...glad to see you my son,' exclaimed Father Achilles as he stood up. A mountain of a man with wild shaggy white hair and beard like a lion's mane with remnants of his once blond hair; framing his tanned skin and blue eyes, he looked like a wild religious desert ascetic from the early years of Christianity, or even a roadie from the Rolling Stones or the Grateful. Dead. He shook Stavros's hand and slapped the table; 'sit down my boy.' He was eighty one years of age but was as fit as an ox and was often mistaken for a man of seventy or sixty five. He called Stavros either 'my boy' or 'my son' and when he had a serious intent and wanted to make a point would he then call him by his name; indeed Father Achilles had looked upon Stavros like a son, as he had six daughters himself. Father Achilles liked Stavros and knew him from the moment he baptised him; he thought he was the most decent fellow he had known. Kind, compassionate, humble, sentimental, extremely intelligent and brave and the most honest man he knew, and he had known many honest men, though this swearing-like-a-sailor business bothered him. Stavros looked at Father Achilles affectionately as he peeled the black coat off and draped it around his chair. Father Achilles was always the one steady constant in his life, a boulder, a rock; a jovial man who had lived much and imbibed much wisdom in his life. Stavros sat down and rubbed his hands together; 'which game shall we replay today?' He asked. Stavros raised his arm and snapped his finger: 'Joubert, short black! now! 'Give me five minutes,' responded Joubert. Stavros dived his right hand between his legs to adjust his balls, he need to adjust his balls before he started replaying this chess game with Father Achilles; he would be there for a while and his 'boys' had to be settled in so that he was completely comfortable to concentrate on the joys of his ritual chess games with father Achilles. Chess was a secret communion between them, a beautiful multidimensional game that opened up doors to other worlds for them, a game of artistry and profound poetry, and a secret language that melted away the pressures and sorrows of the world when they played. When they played chess, the minutiae of their own delay lives were suspended, forgotten. 'White or black my boy?' Asked Father Achilles. 'I like Botvinnik,' said Stavros. Father Achilles was setting up the board and chess pieces of his antique wooden chess board, setting up on a beautiful mahogany cafe table. Joubert brought over his coffee and Stavros let it settle, the wisps of steam rising, curling. As he waited he reclined back in his wooden chair and savoured the interior decor and atmosphere of the Iguana Cafe. The vying aromas of various coffee beans floating over the tables mingling with the gurgling sound of the coffee machine, the smells of nutmeg and cinnamon, the sputtering flavours of fried eggs all wrapped around the babble of the crowd. A mixture of old seadog sailors playing backgammon with the rolling clickety-clack of the dice being thrown down , beanie-clad students sipping their frappes, and inner-city bourgeois pseudo-intellectuals blowing cigarette smoke up in their air and the walls were decorated with vintage posters from twentieth century. 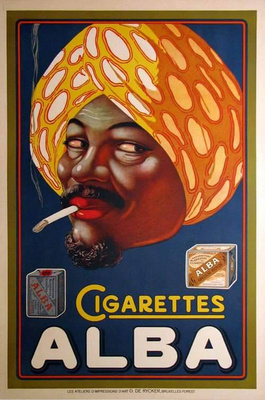 He looked around and marvelled; one poster was for Alba Cigarettes in a vivid colour scheme similar to that of a Toulouse Lautrec painting - dark blue background, a portrait of a chocolate coloured smiling Arab wearing a vivid orange coloured turban with a cigarette hanging from his red lips. 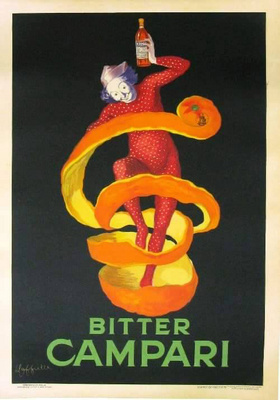 Another poster was for Bitter Campari, with a painting of a clown in a red costume, smiling head tilted to one side holding up a bottle of Bitter Campari raised up in his left arm, standing in the centre of a spiral curl of a giant orange peel against a black background. These vintage posters lined every wall in the cafe, with Art Deco oyster shell lights fixed in between each poster. 'Tell me my boy...' Asked Father Achilles hesitantly. 'Look father, you know. I had...have a passion for archaeology, but just because I've completed the damn degree doesn't mean I have to pursue a career in it,' answered Stavros. ‘I know, I know my boy, you are on a quest to seek authenticity, wisdom, passion and rebellion in your life on your own terms...I respect that. But don't forget your gift, I know when a see a fellow archaeologist.' He smiled. 'You...archaeologist father?' Stavros knew he had not formally studied the field. 'Yes my boy, I relate to you because in my own way, I am a sort of archaeologist myself if you like; an archaeology of the soul. I help people brush away the built-up silt and dirt to uncover their true self. At that moment, Stavros was lost, lost in the dreamily bygone shadows of yesterday, lost in the evocative romance of these past lives long gone now; the choices they made, how they lived, how they loved. The past had a strong mystical allure for him. He was awoken from his daydream by the sudden loud sound of a woman's boots walking on the cobblestones just outside. Ida had just entered the doorway of the Iguana and lingered in the doorway as she glanced at her Apple iPhone scrolling through her Facebook, with earbud cords dangling from her ears connected to her iPod and sunglasses propped up on her head like a crown for a princess, with her hanging ponytail swinging as she jerked her head. 'Hello darlings, so when are we heading for this road trip?' she asked rather loudly. Stavros and Father Achilles both snapped up from the game and their haze and gazed up at her. Her tight caramel calico riding pants, high heeled black boots, cashmere sweater with a Gucci hand back hanging from her left arm and a Hermes silk scarf wrapped around her neck. She wasn't a particular attractive woman, rather plain actually; a natural brunette who hid her hair colour under a wash of a fake blonde dye, a slightly hooked nosed and dark eyes. Her estimation of herself was higher than that of her peers for her. Father Achilles and Stavros looked at each other and remembered that they have arranged this road trip north to the border, they needed to start thinking of the logistics for the trip, and the challenges ahead.